Andrews made her feature film debut in Mary Poppins (1964), and won the Academy Award for Best Actress for her performance in the title role. She starred in The Sound of Music (1965), playing Maria von Trapp, and won the Golden Globe Award for Best Actress - Motion Picture Comedy or Musical. Between 1964 and 1986, she starred in The Americanization of Emily (1964), Hawaii (1966), Torn Curtain (1966), Thoroughly Modern Millie (1967), Star! (1968), The Tamarind Seed (1974), 10 (1979), Victor/Victoria (1982), That's Life! (1986), and Duet for One (1986). In 2000, Andrews was made a Dame by Queen Elizabeth II for services to the performing arts. In 2002, she was ranked #59 in the BBC's poll of the 100 Greatest Britons. In 2003, she revisited her first Broadway success, this time as a stage director, with a revival of The Boy Friend. From 2001 to 2004, Andrews starred in The Princess Diaries (2001), The Princess Diaries 2: Royal Engagement (2004). From 2004 to 2010, she lent her voice to the Shrek animated films and Despicable Me (2010). Four favorites from the Broadway classic The Sound Of Music combine to make a charming addition to choral programs of all levels in this delightful 8-minute medley. Songs include: Do-Re-Mi, The Lonely Goatherd, My Favorite Things, The Sound Of Music. 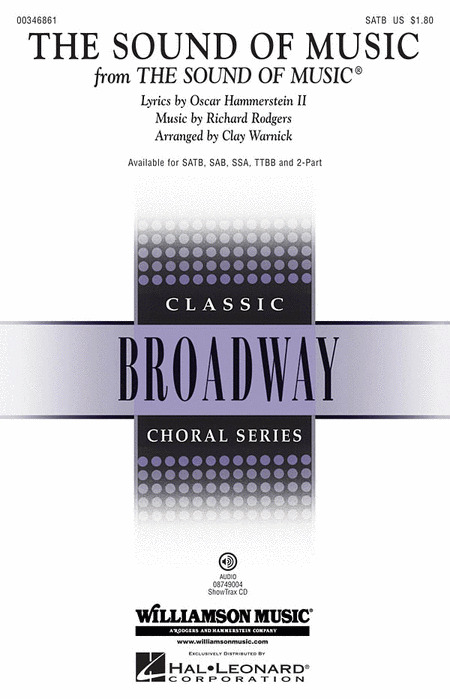 The classic choral setting of the title song from the Rodgers & Hammerstein favorite, now newly engraved and with a ShowTrax accompaniment CD! 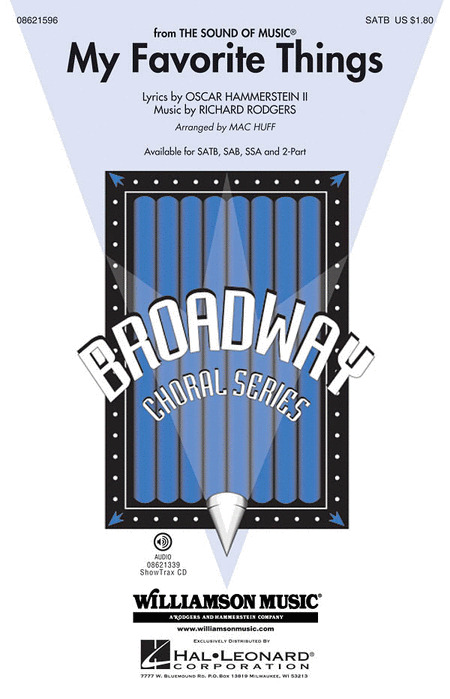 Available separately: SATB, SAB, SSA, TTBB, 2-Part, ShowTrax CD. Duration: ca. 4:35. 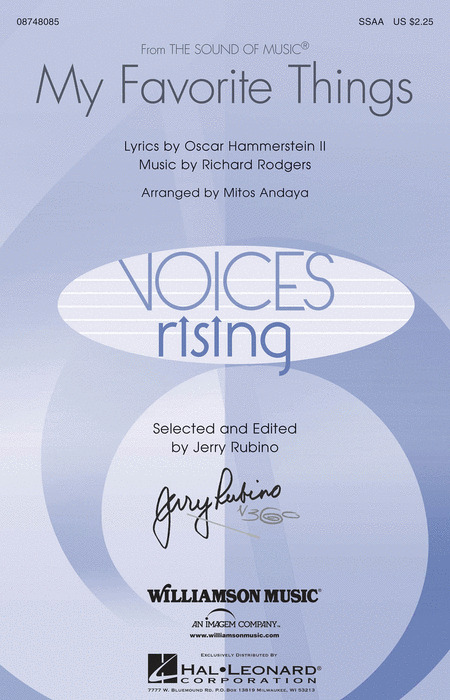 Especially arranged for younger choirs, this classic Rodgers and Hammerstein song is a wonderful introduction to the music of Broadway. Crafted for success, this setting will be a joy to rehearse as well as perform. 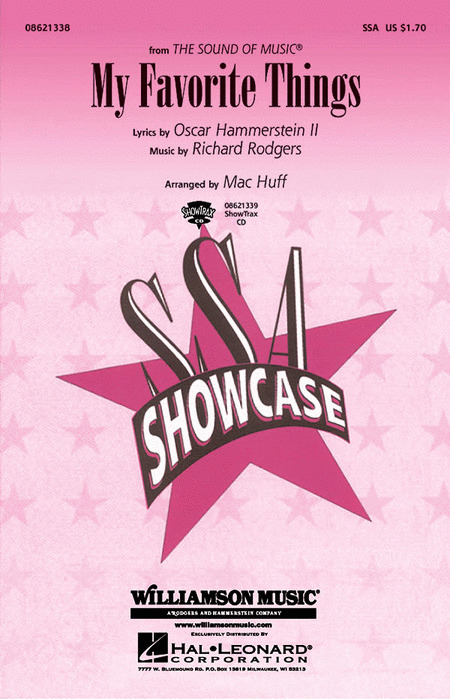 Available: 2-Part, 3-Part Mixed, ShowTrax CD. Peformance Time: Approx. 2:15. 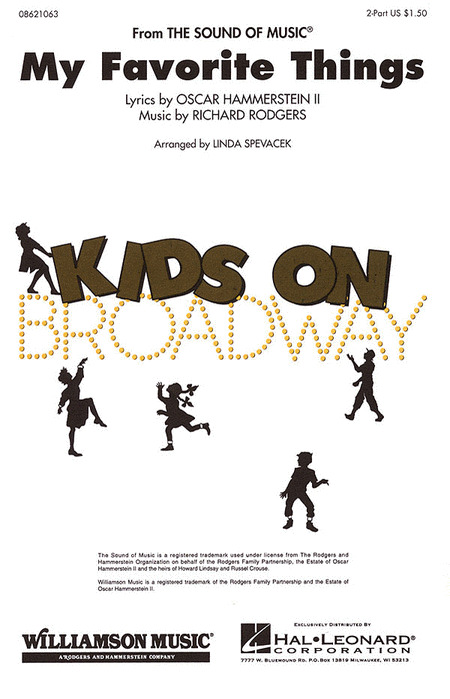 This beautiful ballad by Broadway treasures Julie Andrews and Leslie Bricusse expresses a heartfelt message that is ideal for choral groups at graduation or any concert occasion. Time is my friend for every time we meet, the time we spend is tender and sweet. 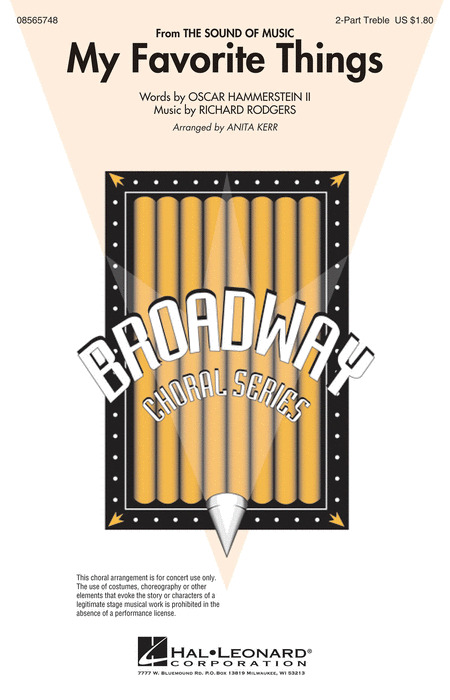 Available separately: SATB, SAB, SSA, Chamber Orchestra score and parts (sc, fl, ob, cl, bn, perc, hp, str: 88421), ShowTrax CD. Duration: ca. 2:15.